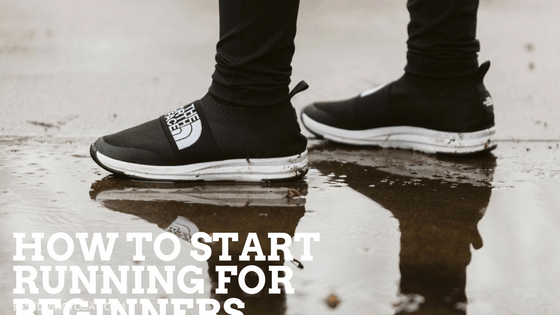 Top 10 Tips on How to Start Running for Beginners! There are so many reasons to run, from stress relief to weight control and strong legs. There are more reasons to run than not to run. It just takes some getting used to and getting out there and doing it. So today I want to talk about how to start running for beginners… in easy, doable and simple terms. Get outside! The truth is, running inside can get boring easily. Plus, running at a gym as a new runner can be super intimidating. You focus on other people, you feel bad if you can’t compete, you get embarrassed for no reason, etc. If you run outside you have more privacy, you have scenery and can just focus on your run. Wear the right clothes! First of all, dress as if it’s 10 degrees warmer outside. Remember you warm up and stay warm quickly when you’re running. If it’s 60 degrees out, dress as if it’s 70 degrees and you’ll be much more comfortable on your run.Also, make sure you have an amazing pair of tights. As a mom, I really, really love The North Face Perfect Core High-Rise Pants. They have targeted mesh compression at the lower waist and it provides additional support for your core, this is great for my postpartum belly. They also have chafe-free seams, which is a must for running! Not to mention the internal pocket that will hold your necessities. These are all things you should be looking for in your pants, but like I said, these tights have them all. For tops, look for something that uses moisture wicking technology. You do not want your sweat to collect on your shirt and then feel gross your entire run. I’m really loving The North Face Beyond the Wall Free Motion Bra. First of all, it’s super cute (especially the back). Second, The FlashDry™ technology transports moisture away from the body, promotes rapid drying, and increases breathability. So you will look good AND feel good! Shoes are easily the most important part of running. 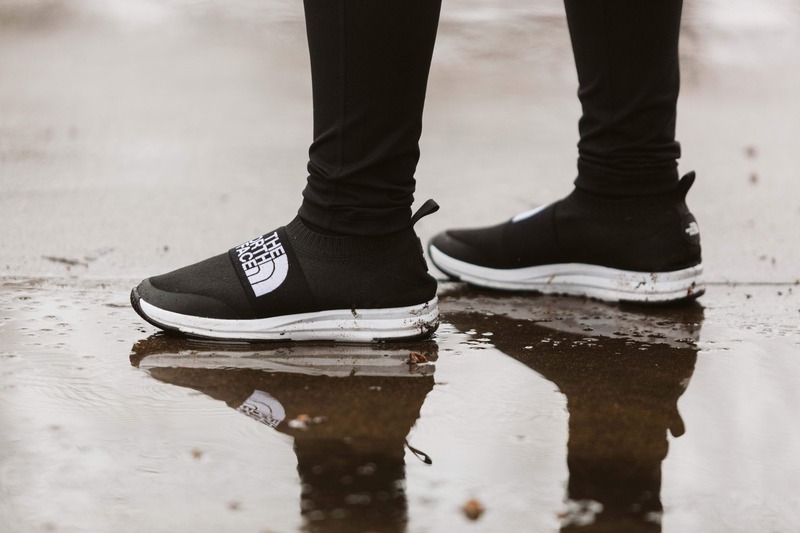 They are going to determine your comfort, and you need to be comfortable in order to run.Tip: try running with shoes that do not have shoe strings so you don’t risk tripping and falling… especially outside. I use The North Face Traction Knit Moc shoes because they don’t have laces and are super comfortable on long runs. Their CRADLE™ technology promotes optimal heel positioning and they are super light and breathable, making them easy to move in. I recommend checking out Zappos when you order your running shoes and clothes because they have a huge variety, their customer service is amazing and they ship super quick and free. Plus, you have a full year to return your stuff if you end up changing your mind. It’s okay to go slow. A short run is better than no run. Alternate running with walking throughout the run — say a minute of walking, followed by a minute of running — or just take short walk breaks whenever you feel like you need them. Drink enough water. You will just feel better if you’re properly hydrated when you run. Also be sure to rehydrate after your run! Don’t worry about pace or mileage. Just focus on consistency. Focus on getting out there a few times per week and finishing the run. You’ll be psyched to notice how much easier it will start to feel once you’ve been doing it regularly for a few weeks — you’ll breathe more easily, be less sore, and need fewer walking breaks. Listen to something that will keep you engaged and distract you a bit. It can be music, but doesn’t have to be. Try listening to a podcast one run and music the next. See which one works better for you and stick to it. Sign up for a fun race/marathon to motivate you to train and practice. Avoid chafing. Because thighs rub and chafing hurts. Wear tights with chafe free seams and if you wear shorts put deodorant or vaseline between your thighs. Don’t overthink it, just get out there and do it!